I spent a few days this week at our Worldwide Partner Conference in Toronto this week and one of the most exciting things for me was how much people are talking about the Windows Insider Program. We got multiple shout-outs during the keynotes (by Satya on Monday, by Bryan Roper and his Bridgestone Tire on Tuesday) as well as a segment on Windows Weekly and the whole SurfaceSmiths podcast. 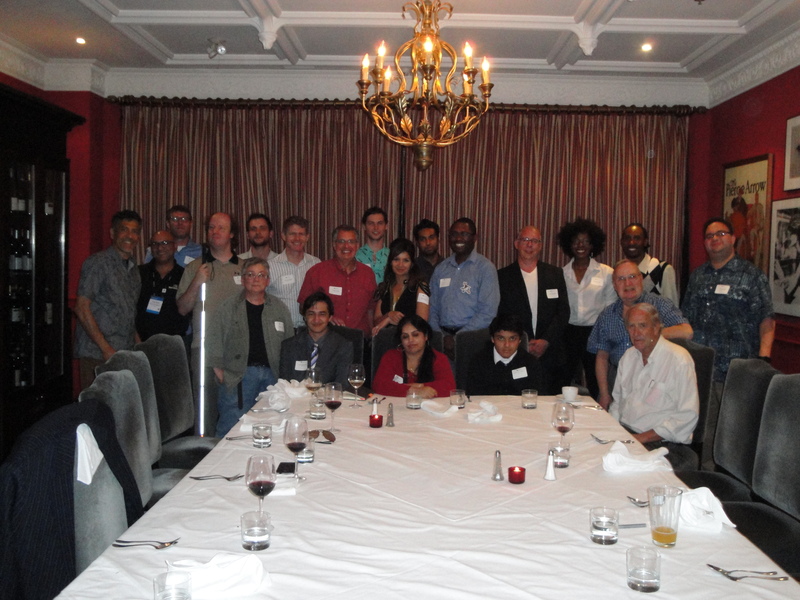 The photo below is of the local Windows Insiders dinner where we got to know an incredibly diverse group of Insiders who are leading in the Toronto area. We can't wait to do more of these types of things globally. It's pretty cool to see people who have been a part of the Windows ecosystem for a long time be genuinely excited and curious about how the Insiders are going to transform the world next. I love being on this journey with you. Thank you! Team, we're getting down to the wire for the Anniversary Update release. Please install this build and try things differently than usual this weekend. Check out some of the Quests in Feedback Hub. Hand the device to a friend and have them try it out. Install apps that are new to you. Send us all the feedback. This is what we're going to be doing as well. I'm going to be creating images on Sketchpad for an IoT project I want to do with you guys next month. I'll tweet pics as I go.